For hundreds of years Hawaii has been known by many as the holiday destination that has it all. From the nightlife, golf resorts and all out entertainment of Waikiki to the wilds of the National Parks, volcanos, waterfalls and canyons Hawaii has something for every visitor. If Hawaii is the holiday destination for you click to see our best Hawaii deals or call us on 0844 463 2783 and we can tailor a package just for you. Whatever your idea of paradise is we have something that will match it, if not add to it. Whether that idea is an untouched tropical beach for you & your partner, a fantastic surfer’s break on some of the best waves and one of the best surfing spots in the world, or an off the trail adventure exploring wilderness, natural wonders and exotic wildlife you will find it in a Hawaii holiday. The archipelago with literally over a hundred islands is sure to hold a part of that amazing luxury holiday to Hawaii you are searching for. With 6 luxurious main islands available for you to stay at while in Hawaii including “Big Island” itself (Hawaii), you will be guaranteed a great place for both rest and relaxation or exhilarating adventure take your pick! 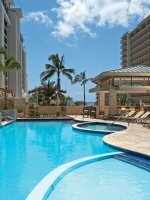 Each of the 6 main islands available for a Hawaii holiday has an extensive choice of hotels for you to choose from, each with superb service, rooms and most importantly views to die for. Each hotel brings its own specialty to make it stand out from the crowd, whether it be restaurants with succulent food, pools that look and feel like oceans, while some even have their very own dolphins! 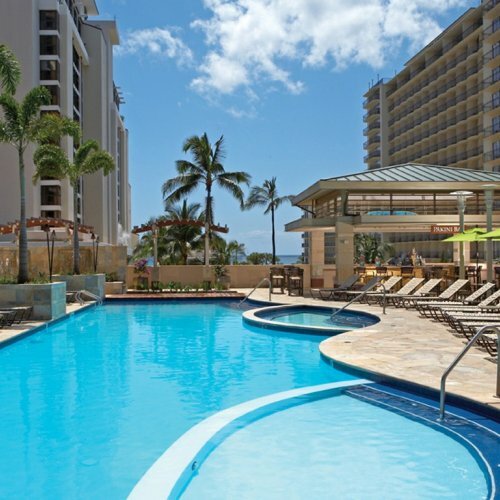 Whatever the perfect hotel for you while on holiday to Hawaii, our experts are sure to be able to help you find it. We've assembled knowledgeable guides to each of Hawaii's main island destinations plus guides to the activities you can enjoy when taking a holiday in Hawaii, which we hope will be useful to you in planning your trip.If you are looking for help or advice on Hawaii Holidays or all inclusive holidays to Hawaii then call 0845 365 65 65 and one of our Hawaii Holidays experts will be more than happy to help. You have a variety of ways available for getting around to the destinations and activities while on holiday in Hawaii. Car rentals are available at any of the airports on the major islands such as Oahu. There are also taxis, shuttles and local buses for those who don’t want to drive on holiday. If you need to travel to other islands you are able to catch regular ferry services. There are also interisland airlines that make travel between them very easy. For those looking to get some souvenirs of the holidays to Hawaii or for those simply looking to take some of that Hawaiian style and culture back home with them, there are a variety of shops as well as shopping centre on the islands. The friendly and accommodating locals will happily help you find that perfect gift, souvenir or item of clothing. Our Hawaii holiday’s experts have each had at least 15 years experience in booking luxury holidays to Hawaii from the UK, indeed we feel we're better positioned to plan you the perfect holiday than anyone else in the country. If you'd like us to offer you a tailor made quote on an unforgettable package to Hawaii, please get in touch through the form below or call us 0844 463 2783.